STRAIGHTENER started their stage career in 1998, based on Shibuya & Shimokitazawa area, where the music & youth culture originate, in the center of Tokyo. With vocal/guitar & drums, this smallest unit as a band has gathered great numbers of audience which soon lead them to release their first album from the Indies label. Having influence from UK guitar rock , punk, alternative as background, their mixture of originality of sound and freedom of creativity exploded to cross over the wall of genre. Nakayama(dr.) purely reflects his passionate emotion in his dynamic drumming. Horie (gt & vo) expresses his counter part beauty in aggressive guitar with sparkling note of melody, stunning staging with his miracle voice though cool attitude of not even saying a word of MC. It was only the matter of time which their performance grasped the heart and respect of other rock bands from the same generation, even before large numbers of young audience catching up. After launching their own Indies label, “ghost records” in 2002, Hidekazu Hinata (B) shortly joined a year later added the depth/width & speed/groove,which brought the band go up to next evolutionally stage. And the same year, October 16th, their major debut single “Traveling Gargoyle” was released from EMI Music Japan to explore new horizon. 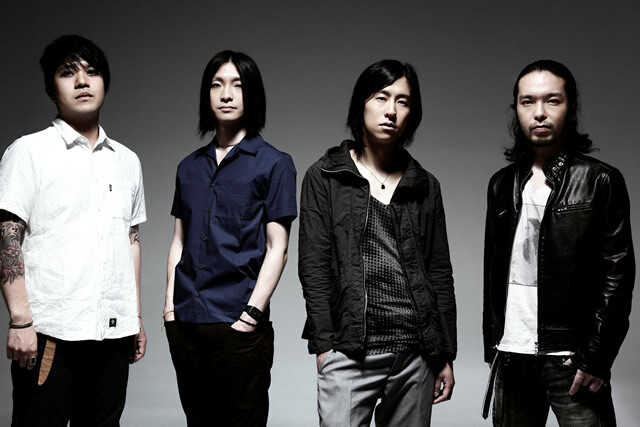 Continuously receiving well status as real live band through their highly professional performance,when releasing their 4th album [LINEAR] in March 2007, they accomplished nationwide tour “LINEAR MOTOR CITY TOUR” to every single 47 prefectures of Japan, in total of 53 shows including huge success of Makuhari Messe with 10,000 audience. And right after this tour ended, they went back to the studio directly to record their passionate experience and moments to released a Mini Album [Immortal]. This lead them to start additional tour of 13 shows, which pushed them up in top positioning of Japanese modern rock scene. Guitarist Jun Oyama joined on October 1st,2008.